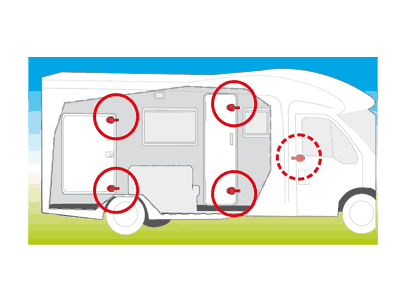 The Fiamma Safe Door Guardian has been designed to offer anti-theft protection from the inside of the motor caravan and caravan. Can be placed on almost any caravan and motorhome door and offers excellent protection as it is made from very strong aluminium, without any plastic parts. 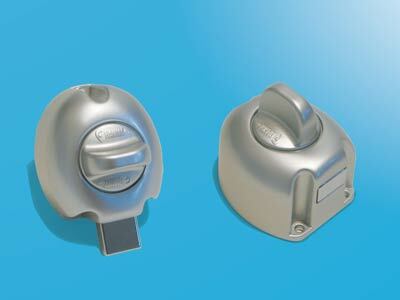 It is installed instead of the standard plastic security blocks, in the same position and using the same fixing holes. 2 pieces supplied. 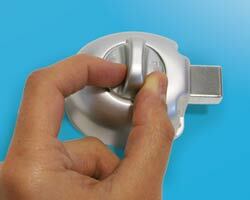 A pack of 10 spacers are available, which help align the Safe Door Guardian to the wall. Package includes 10 spacers, each one 1mm thick. 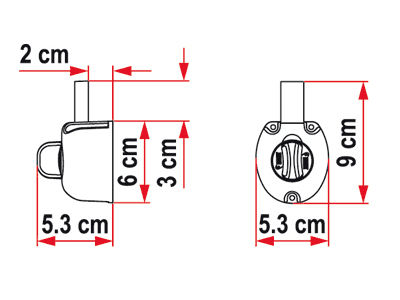 Click here to view and buy Fiamma Spacer Kit Guardian. Fitting: Self threading screws supplied. Replaces existing cab door catches.